A co-worker said that she never saw any of the movies or cartoons. This conversation gave me an idea for this blog post. So, a recap for all of you who haven’t seen any of the movies or cartoons or have read the books or played the Star Wars video games, you may have heard a similar story before: It’s as old as the Bible, good vs. evil. It’s a story about a boy and his family. We are introduced to a boy named Anakin Skywalker who was born to Shmi. Like Mary of Jesus, Shmi did not know man. We later learn that there was a Sith Lord named Darth Plagueis the Wise who could use the Force (Holy Spirit for Mary) to influence the midichlorians (DNA building blocks for Mary) to create life. He caused the impregnation of Shmi not unlike the Angel Gabriel (Luke 1:26-38). Qui-Gon Jinn (a Jedi Master) encountered a tremor in the Force around Anakin. His cells had the highest count of midichlorians he ever saw in a life form. He wondered if it were possible that he was conceived by midichlorians. He refers to the prophecy of the one who would bring balance to the force. Shmi asks Qui-Gon if he was there to free the slaves. Was he the Messiah or was Anakin to be the savior? Anakin had dreams about the future and returning to his home planet of Tatooine and freeing his mother from slavery. He met Padme and years later secretly married her and she told him of her pregnancy. Chancellor Palpatine talks with Anakin about the Sith along with their powers to heal. He tells young Anakin a story of Darth Plagueis the Wise who could resurrect the dead and heal the suffering. Anakin was plagued by dreams of his mother’s death and that of his wife, Padme during childbirth. He thought that if he could learn this Sith power that he could save them. Anakin becomes Palpatine’s apprentice to obtain these powers as he is tempted by the dark side of the Force, which later led him away from his wife. Jesus was in the wilderness for 40 days tempted by Satan and he did not give in. Chancellor Palpatine was elected through a vote of “no confidence” in Chancellor Valorum’s leadership. Later, Palpatine becomes Emperor and dissolves the Senate. Senator Palpatine told Anakin that in his anger, he had killed his wife Padme. This news made him very angry and Palpatine smiled at his pain. Padme gave birth to twins named Luke and Leia. The twins were separated for their own protection as heirs to Anakin would have a higher midichlorian count. Leia was adopted by Senator Organa and his wife. Luke was sent back to Tatooine to live with his aunt, Beru and uncle, Owen Lars. Padme still sensed good in Anakin on her deathbed. Once Anakin turned to the dark side of the force, according to Obi-Wan, he essentially died and became Darth Vader. There are always two Sith, a master and apprentice. There were many Jedi Knights in the Old Republic as they were the guardians of peace and justice. During the Clone Wars, the Jedi were killed. The Emperor knew that any child with a high midichlorian count could be a weapon of the Force, so they were rounded up and killed — not unlike Pharaoh killing the first born male children in Israel for fear that a messiah or king may be born. Leia grows up and contacts Obi-Wan Kenobi, an old friend of her father’s. They fought together during the Clone Wars. Princess Leia puts the plans for an ultimate weapon, a Death Star capable of destroying a planet, into a droid and jettisons it, R2D2 and another Protocol Droid, C3PO out of their ship as it is boarded by Darth Vader of the Galactic Empire. The droids wind up on Tatooine with a young Luke Skywalker. Luke retrieves the message that Leia needs help. R2D2 goes out in search for Obi-Wan Kenobi, while Luke and C3PO follow. Trouble ensues and Obi-Wan comes to the rescue. Obi-Wan tells Luke that his father was killed by Darth Vader. The full message is played and Obi-Wan and Luke set off on an adventure to Alderaan. Luke learns about the Force through Ben Kenobi’s teachings and later by Master Yoda’s. Luke Skywalker along with Princess Leia, Han Solo, Chewbacca, R2D2, and C3PO continue the adventures against the Empire. They fight alongside the Rebels to destroy the Death Star and bring back peace to the galaxy. In the end, Padme was right about seeing good in Anakin. Luke also saw that he was good and it gave Vader the chance for redemption in the end. For Jesus, the cross symbolizes redemption for all of us. Has Kylo Ren picked up his cross fashioned into a light saber to provide redemption for us or to resurrect the evil that was gone for the past 30 years? 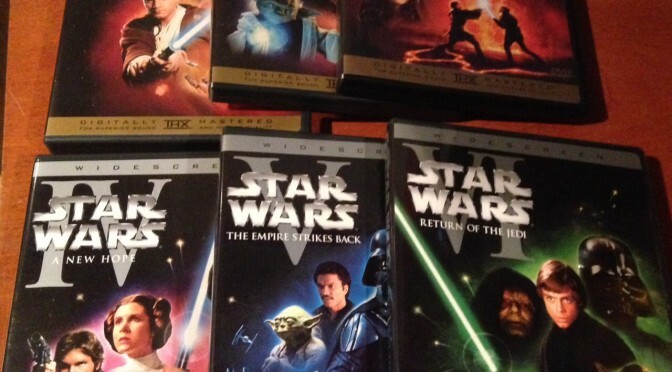 “Star Wars: The Force Awakens” will take place some 30 or so years later. Perhaps Han Solo and Princess Leia marry and have children. Perhaps Luke, the sole Jedi of the galaxy becomes a teacher, like Master Kenobi and Master Yoda. 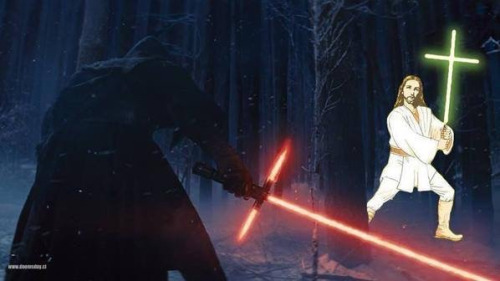 Perhaps Luke learns the ways of the Sith as well. A New Jedi Order is created under Luke’s leadership. Out of the Garden of Eden or Paradise came evil. The Force works because of a balance of good and evil. Perhaps Kylo Ren is the embodiment of the evil. “Star Wars” is about a family with an absent father who leaves to take over the universe. Is Luke’s father dead or has he changed his name and began a new life and a New Hope? Star Wars Episode I- A Phantom Menace: The story about Anakin. 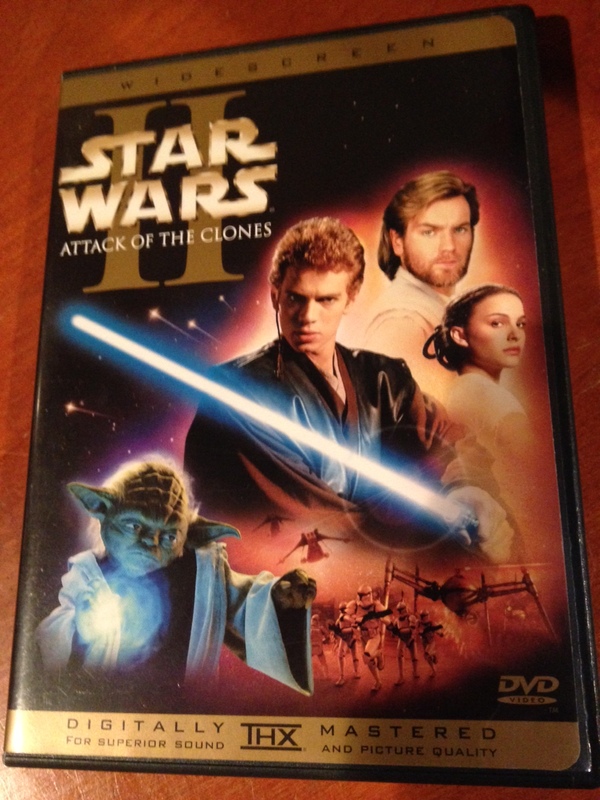 Star Wars Episode II-Attack of the Clones: War breaks out between the Empire and the rebels. Anakin grows up and begins to form a relationship with Padme. 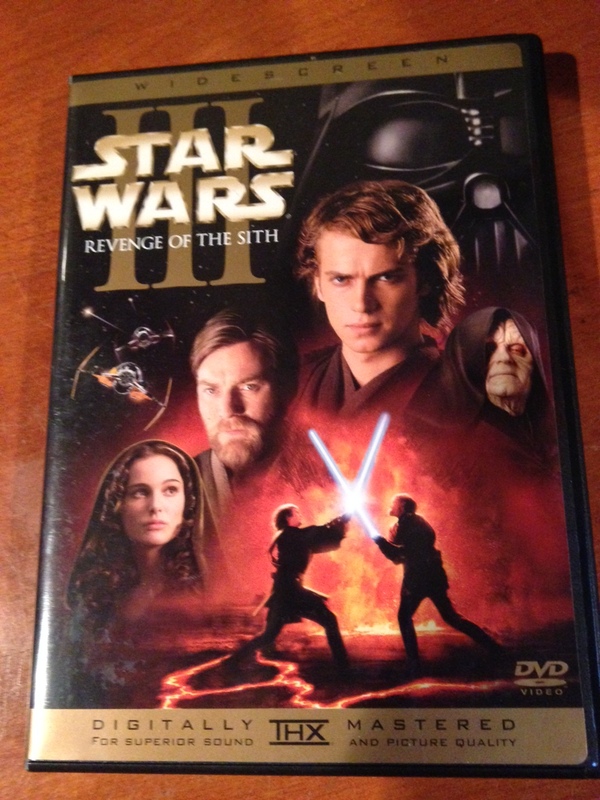 Star Wars Episode III-Revenge of the Sith: Anakin turns to the dark side and becomes Darth Vader and wipes out most of the Jedi. 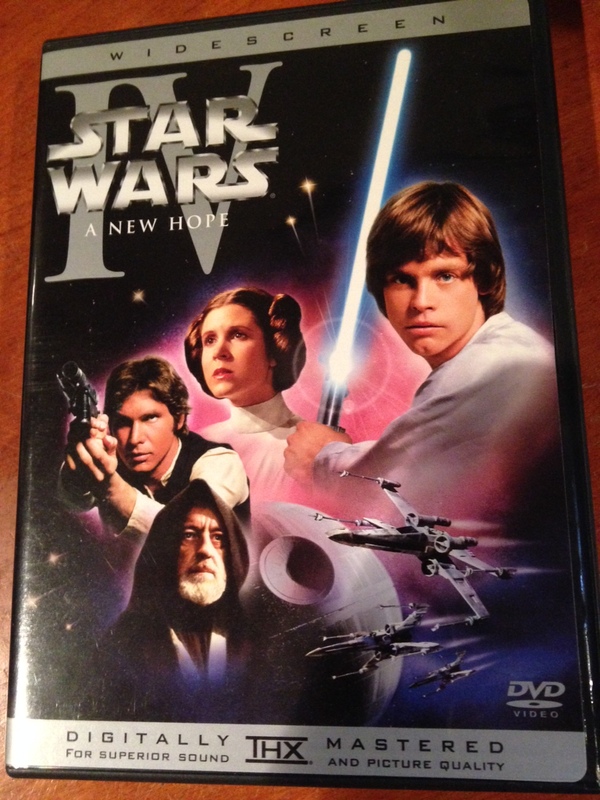 Star Wars Episode IV – A New Hope: Hope is restored through Luke Skywalker in the destruction of the Empires ultimate weapon, a Death Star. 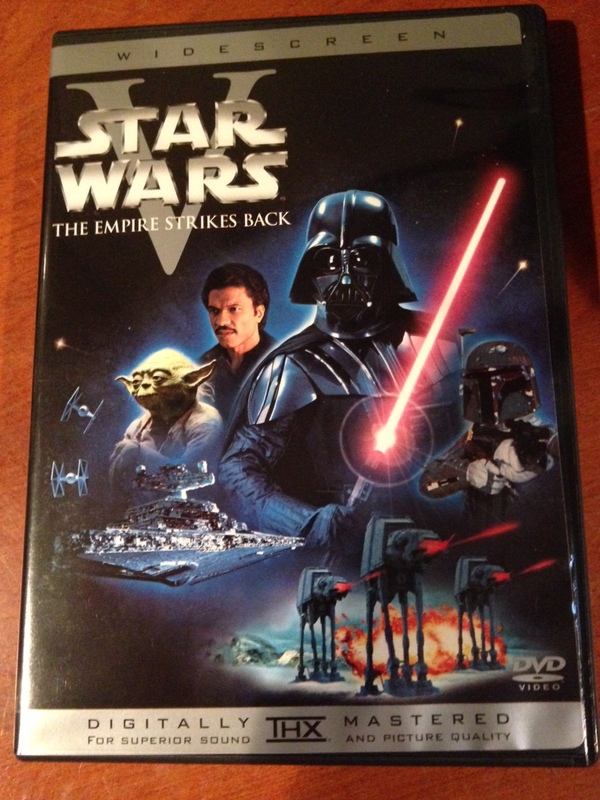 Star Wars Episode V-The Empire Strikes Back: The Empire, led by Darth Vader, fractures the Rebels. In the end Han Solo is encased in carbonite and everyone’s feelings are unsettling and unsure. 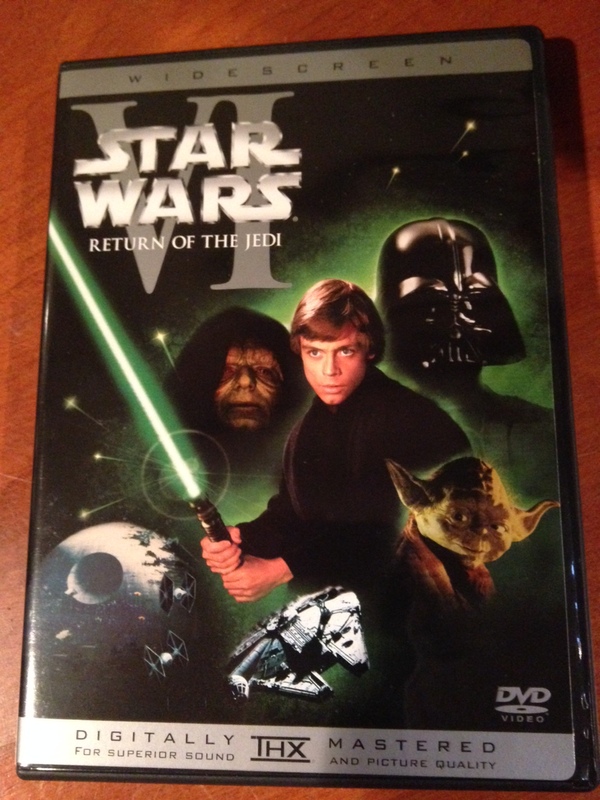 Star Wars Episode VI-Return of the Jedi: Luke returns after rushing his training to rescue his friends and to restore order back to the galaxy. In this final fight, Darth Vader/Anakin kills the Emperor and dies upon seeing Luke with his own eyes. Luke brings his body back to Endor and burns it. The spirits of Yoda, Obi-Wan Kenobi and a younger Anakin are now visible to him. Young Anakin was added as George Lucas said that when he became Darth Vader, he ceased being Anakin. Everyone in the universe ends the movie in celebration with fireworks and frivolity. Star Wars Episode VII-The Force Awakens: Takes place some 30 years after the end of Return of the Jedi. The Sith return. Kylo picks up his cross which also appears to be a lightsaber. Jesus said, pick up your cross and follow me. What holds for the future of Luke and the Skywalkers? We shall all know on Friday.